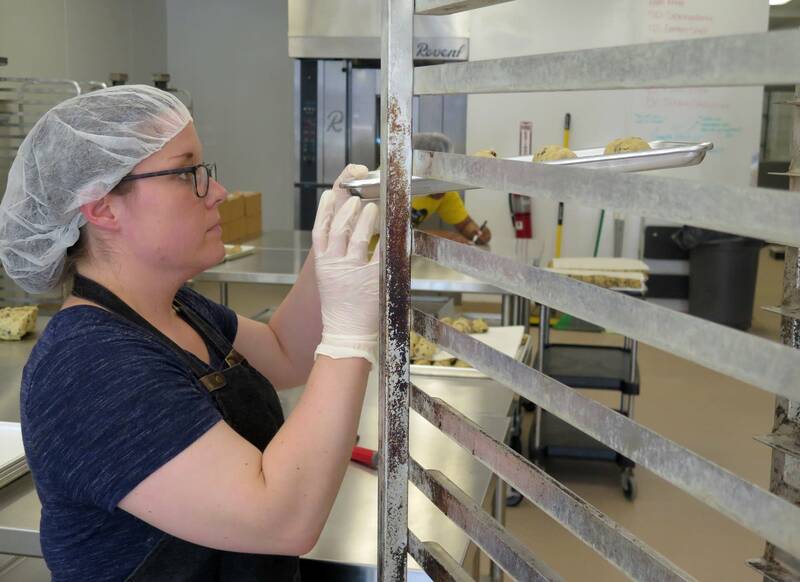 A nonprofit cookie bakery in north Minneapolis that offers teens leadership and job skills is expanding to St. Paul's east side. 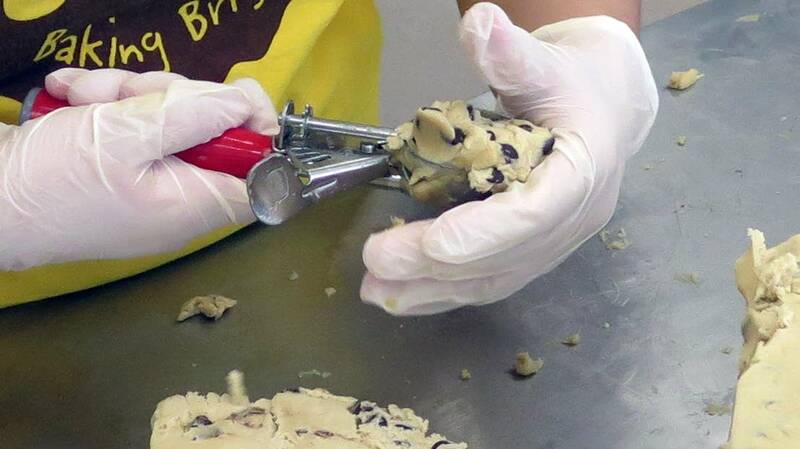 The Cookie Cart will mark its 30th anniversary with a ribbon-cutting ceremony at the second location Thursday. 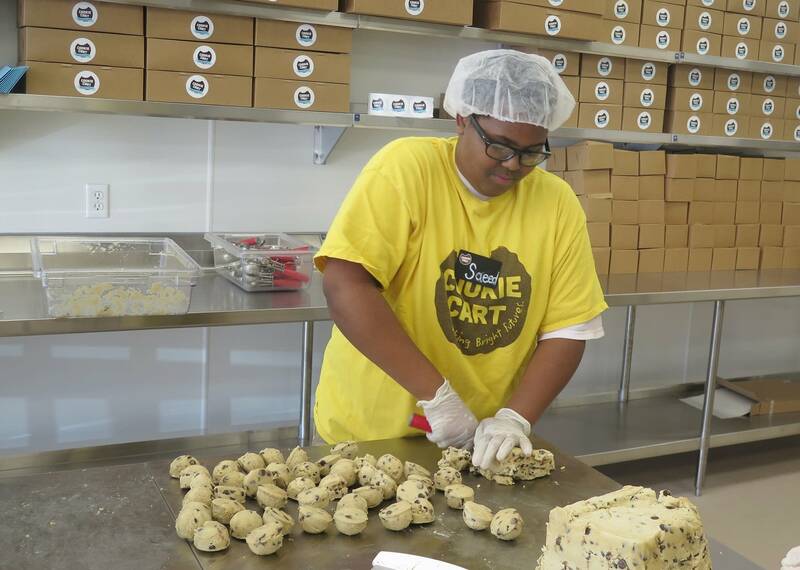 Two days before the grand opening at the new Payne Avenue location, teens were scooping dough on to baking trays, aiming to make 75 dozen chocolate chip cookies. But Cookie Cart teaches the kids working there more than just baking cookies. Life skills are also in the mix. Across the alley, there's a storefront offering check-cashing. 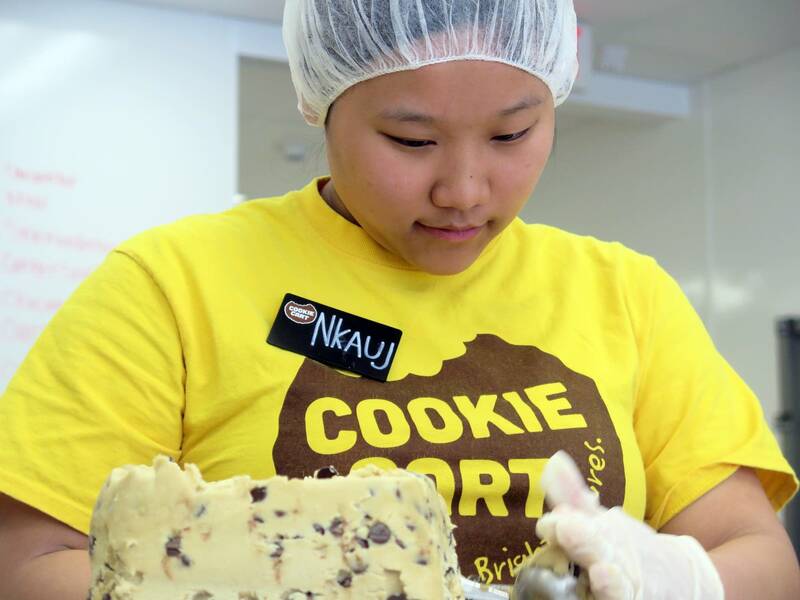 After two weeks of training at the Cookie Cart, 15-year-old Nkaujliamtshuj Vang knows to avoid places like that in the neighborhood. "I'd never heard of those places. I was like, 'Wow! They're making me know more about finances,' cause this is my first job too," she said. Executive director Matt Halley said Cookie Cart's main goal is to provide life, leadership and employment skills in a bakery setting. "Our purpose it to teach young people and our classroom is a bakery," he said, "and our byproduct from that program is really good cookies." The bakery grew out of the late Sister Jean Thuerauf's home in north Minneapolis. She wanted to offer a safe space and engage at-risk neighborhood kids. She invited them into her home to do homework and bake cookies. Cookie Cart opened in 1988. Halley said thousands of students have been through the program over the decades. The north Minneapolis location employs 200 teens, ages 15 to 17, each year. Charitable donations and cookie sales fund the $4 million budget. Halley said the Minneapolis location is maxed out. Cookie Cart's leaders chose St. Paul's east side for a second location because opportunities, including employment, are limited for teens in the neighborhood. In addition to youth development curriculum, Halley said selling and delivering cookies to businesses and institutions outside the neighborhood exposes teens to new realities. "It's really hard to understand the world of possibility available to you if all you know is the community that you're in," he said. The new bakery is in a former supermarket. The vacant building was completely renovated through a $4 million capital campaign. Halley said $3.1 million has been raised so far. The space features a retail area, kitchen and classrooms, where employees participate in skills training, like leadership workshops. The St. Paul store will hire 100 students its first year with employees coming from Johnson and Como Park high schools. Vang is a freshman at Johnson. She said she's nervous and excited about the opening Thursday at 3 p.m. But she's thrilled about what she's already learned, like customer service and personal banking. And she beams with anticipation for what's to come. "Getting this job, I opened my first bank account, which was really fun, and getting my own debit card," she said. "Now I get to use my own money instead of asking for it!"